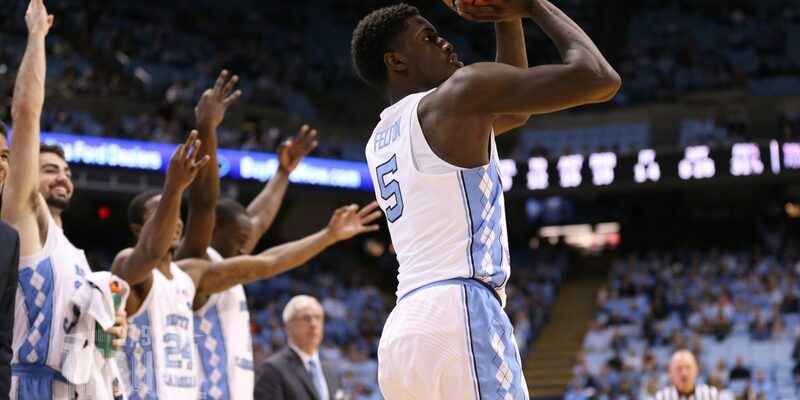 UNC freshman guard Jalek Felton will miss his second game due to suspension on Saturday when the Tar Heels host Pittsburgh. Felton was suspended by the university earlier this week and missed the team’s loss at Clemson Tuesday night. Felton’s suspension drew increased attention because it was from the university rather than the basketball team. Few details have been provided regarding the nature of Felton’s suspension. Sutton represented UNC linebacker Allen Artis when he was accused of sexual assault by another student on the UNC campus. Artis was eventually cleared by the university and misdemeanor charges were dropped. Sutton was quick to caution against assuming the nature of Felton’s case by looking at her past work. Within hours of Felton’s suspension being made public, Sutton confirmed she would be representing him. But the university nor Sutton have provided any details regarding the suspension. The university has cited privacy laws, and Sutton told WCHL earlier in the week that the process is currently in the “gathering information” phase. There is no public information from any local law enforcement agency nor the North Carolina court system, as of this posting, linking Felton to any criminal charges. Felton, the nephew of former Tar Heel Raymond Felton, was a highly touted recruit coming out of South Carolina and was serving as a backup to senior Joel Berry. Felton’s suspension coupled with the injury that has left sophomore Seventh Woods sidelined in recent weeks leave UNC with few options at point guard. UNC head coach Roy Williams said after Tuesday night’s game that there were no details he could share regarding Felton’s suspension. “I had nothing to do with how it was handled,” Williams said. Additionaly, the UNC coach said that the team “didn’t know everything” about the situation until the end of practice on Monday. There is no timeline as to how long Felton’s suspension may be. Carolina’s game against Pittsburgh in Chapel Hill is scheduled for 8 p.m. Saturday. WCHL’s coverage of the game will begin at 6:30 p.m.